Greydient Learning is strongly bound by a team of experienced teachers who come from diverse industrial backgrounds. The result is a network of experts, who have greater insights about the practical functioning of the certification courses and, whose training methodologies are industry-oriented.Thus, the students learn through a process, which goes beyond from the academic to all-round exposure. Having more than 30 years of experience in the industry, NSN’s domain expertise covers Finance, Accounts, Internal Audit, and Information Security & Risk Management. He has been conducting training programs for Ashok Leyland engineers for over a decade. NSN has been closely associated with the Loyola Institute of Business Administration (LIBA), as a lead faculty conducting programs for Information Security. His educational endeavors include numerous training programs in cyber laws, information security and risk management, ISO 27001 and other allied IT security subjects. To add to his credit, is the string of qualifications of NSN: CA; DISA (ICAI); CISA; CISM (ISACA,USA); CIA (IIA,USA); CRISC-(Certified in Risk and Information system control)- ISACA,USA; ITIL (Foundation) along with the Microsoft Security Strategy award. 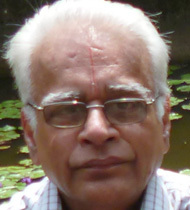 P R Vittal is a postgraduate professor in mathematics at Ramakrishna Mission, Vivekananda College, Chennai. 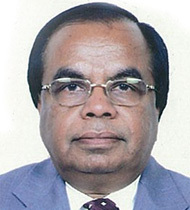 He retired as the principal of the college in 1996. His vast experience in teaching includes: as a visiting professor at Western Carolina University, USA; research work in coordination with a number of universities in USA and Canada. 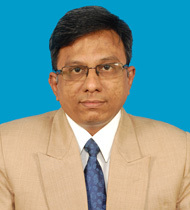 At present, R.Vittal is a visiting professor in the Department of Statistics, University of Madras, Institute of Chartered Accountants of India – Chennai, The Institute of Technology and Management – Chennai, National Management School – Chennai and research guide in Management Science in BITS, Pilani. He has 30 research papers in reputed international & national journals and has guided a number of students for M.Phil and Ph.D. He is a fellow of Tamil Nadu Academy of Sciences. His topics of Research have been Probability, Stochastic Processes, Operations Research, Differential Equations and Supply Chain Management. In addition, he has authored 26 books in Mathematics, Statistics and Operations Research. 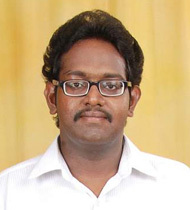 A Chartered Accountant backed by a BSc in Mathematics from University of Madras, Kasthuri Rangan is a Fellow Member of The Institute of Chartered Accountants of India and Partner in M/s Kasthuri Associates, Chartered Accountants. As a renowned faculty in Financial Accounting & Direct Taxation, he is a visiting faculty in SIRC of ICAI, SIRC of ICSI & SIRC of ICWAI, faculty in Department of Central Excise & Service Tax, faculty for Accounts in Sales Tax Department. His industrial experience with one of the Industry-majors(BHEL) along with his close Association with The Institute of Chartered Accountants of India- through regular Paper presentations, makes him one of the right leads for the IPCC students. A post graduate in Economics, Law and a PhD. in Economics, Dr V.Seshadri is accredited with other post graduate qualifications in Personnel Management, Labour Laws and Public Administration. In addition, he is a recipient of the Kulapathi medal for having secured the first position in Personnel Management and Industrial Relations Diploma. 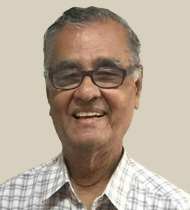 With almost four decades of academic and administrative experience in the public sector and in autonomous bodies, he is at present, a faculty in Law in the CA Institute at Chennai. This apart, he is also a visiting faculty in business schools handling subjects in Managerial economics, Business environment and Law, for MBA students. A practicing Chartered Accountant with over 18 years of experience, CA P.Ramaswamy has wide industry exposure, in offering CFO/Consulting services for small and medium Enterprises. As an ICWA as well, he is a recognized guest faculty at ICAI, ICWAI & ICSI for Direct Taxes, for CA final, Income Tax and IPCC students, for the past 13 + years. He has presented numerous papers on Direct taxes at various forums, apart from contributing articles on the same, published in leading journals of professional interest. This apart, he is a life member of the Chartered Accountants Study Circle (Registered), a professional body based in Chennai. 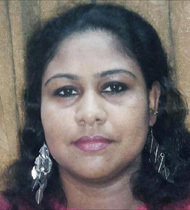 A professional tutor, Ms. Santhi has over two decades of teaching experience. An FCA, CWA, PGDTFM, CIMA Adv. Dip. MA, Santhi is a rank holder in CA Intermediate. She is a visiting faculty at SIRC, ICAI and its various branches. Earlier, she was a visiting faculty at ICWAI, Loyola Institute of Business Administration, Stella Maris College and The Institute of Chartered Financial Analysts of India. She has also been a resource person for various programs organised by ICAI, ICWAI, BSNL and other Institutions. A B.Com graduate from Loyola College Chennai 1979-82 batch is a CA and a CMA. A practicing Chartered Accountant since February 1986, Mr. Ganapathy has been teaching Auditing for the CA course (Intermediate & Final) from 1994 at various professional and coaching institutions all over South India as a visiting faculty for regular and crash courses. He has presented papers on Auditing Standards in various forums including training centres of ICAI, AAI, AGs, LIC, CBEC, TFSC, students conferences of SIRC of ICAI and CPE programmes. A life member of the Society of Auditors and a member of Study Group on Auditing Standards, he has written articles on Auditing in numerous professional journals and news letters. 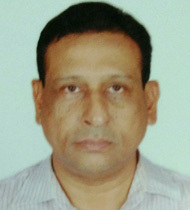 A graduate in Commerce and a post graduate in Economics, Mr. Harihara Kumar is also a CMA & CS with over 15 years of experience as Deputy Director/Commissioner in Excise, Customs, Service-tax department and Ministry of Finance, New Delhi. He is also a member of Indirect-tax committee – ICAI, New Delhi since, 2010. Mr. Harihara Kumar is a faculty notified by ICAI, New Delhi for Certificate course on Indirect Taxes and is regularly invited by 14 Regional Councils & Chapters of ICAI to deliver lecture in the Certificate Course. With over 20 years’ experience as faculty in National Academy for Customs, Excise & Narcotics, Chennai, Bangalore, Hyderabad & New Delhi (training Institute of Ministry of Finance, New Delhi), SIRC of ICAI, SIRC of ICWAI/ICMAI, he is considered as an expert in Indirect taxes. An M.Phil in Economics From Stella Maris College, S. Neeta worked as a Research Assistant for a project, funded by the Malcolm Adiseshaiah Trust. She has been a lecturer in Stella Maris College, Department of Economics. Neeta was the President for Loyola Economic Association for Development (LEAD) for the year 2011-12 and has organized a National Seminar, workshops for students, placement day etc. To add to her wide area of research, she has given many paper presentations on economics related subjects in popular colleges in Chennai. As the editor and Co-editor of college department magazines, her expertise and insights about economics is tremendous. 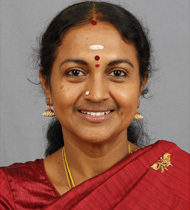 Neeta is a Lecturer in the Department of Economics, Loyola College Chennai since 2006. She has been recently elevated as the Vice Principal of Loyola College (Evening Batch). An ACCA from UK, Mr. Shyam Prasad is also an MBA and has cleared ICMA inter and the First Level of CFA. He has over 6 years of teaching experience in various institutions like SRM Easwari Engineering for 3 years and at present with Vivekananda College for the past 2 years. He has also been taking classes on part time basis at Bharadwaj Institute for ICMA and in Madras University. An Indian Chartered Accountant and Chartered Management Accountant from the UK, Mr. Siddharth Balasubramanyan is the youngest faculty at Greydient Learning. He is the second youngest Indian to clear CIMA, UK in the world at the age of 21. In addition to his achievements, he has cleared all the levels of Chartered Accountancy at the very first attempt. Siddharth is an avid blogger and is a teacher by passion. 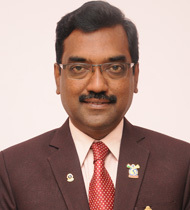 Apart from holding a senior position at an MNC, he takes classes for CIMA and CA at many reputed institutions in Chennai. An Information systems professional with over 20 years of experience in Resource management, development and training, Prof. Srinivas holds a passion for teaching and imparting technical skills in the field of IT. His knowledge extends but is not limited to Information security and audit, ISO process & internal audit and CMM audits. He is also known for his mentoring capabilities and team building. Prof. Srinivas is a well-known faculty for ITSM & ISCA of the Chartered Accountancy course, ITSA for Company Secretaryship Course and IS for the CMA course at various institutions across Chennai. An associate member of the Chartered Accountants of India and a graduate in Commerce, Ms. Swapna K holds over 10 years of experience in teaching CA aspirants. She is a well-known faculty from CA – CPT & IPCC at the Chennai, Bangalore, Calicut and Allepy branches of the SIRC of ICAI and reputed institutions across Chennai. CA. Swapna’s academic resources have been acknowledged by the SICASA of ICAI. She has also presented papers on Auditing Standards at the SIRC of ICAI. Apart from her regular teaching activities, she actively participates as a trainer for “Finance for Non Finance People” at corporate establishments in Chennai. CA. Anusha K is a Fellow member of the Institute of Chartered Accountants of India and a diploma holder in Information Systems Audit with over 10 years of experience in the field of Tax, Audit and management. She holds a keen interest in teaching and has taken classes at ICAI, Ernakulam branch, and many reputed institutions across Chennai for CA, ACCA and CMA(US). Her interest in academics led to the presentation of papers on Accounting standards, Income Tax and How to succeed in CA exams in various forums including the SIRC of ICAI.